Floriday.co.uk - Disney's Habit Heroes Closed After Bully Claims - Florida Holidays, Disney, Universal, SeaWorld - The best of Orlando! Disney has closed a new theme park exhibit promoting healthy eating and exercise, but not because it was ineffectual. The reason? It was deemed too offensive to overweight children. Habit Heroes, an attraction at Disney's Epcot resort in Orlando, Florida, used obese cartoon villains called Snacker, Lead Bottom and The Glutton to highlight the dangers of junk food, too much television, and inactivity. But critics accused Disney of taking "the side of the bullies" by reinforcing stereotypes of overweight children and stigmatising them for their condition, prompting the entertainment giant to shutter the attraction for a "retooling". "Disney, a traditional hallmark of childhood happiness and joy, has fallen under the shadow of negativity and discrimination," said the National Association to Advance Fat Acceptance in a statement criticising the exhibit and an accompanying online game. "The use of these stereotypes, traditionally used to torment overweight kids, will potentially reinforce and strengthen a cycle of bullying, depression, disease, eating disorders and even suicidal thoughts." The new attraction was part of Epcot's Innoventions area, intended to showcase futuristic ideas in a child-friendly way. Groups of up to a dozen were led through a series of rooms by a pair of animated fitness fanatic buffs called Will Power and Callie Stenics, learning of the dangers of unhealthy habits as they went. Disney said that Healthy Habits, which was the subject of a "soft opening" several weeks ago to gauge public reaction ahead of its planned formal launch this week, will remain closed indefinitely. A message on its website apologised that it was "down for maintenance". "We've heard the feedback," said spokeswoman Kathleen Prihoda. "That's why we have a soft opening, so we can open it up to others and listen." The exhibit was partly funded and promoted by Florida insurance company Blue Cross and Blue Shield, which said it was surprised by the outcry and an online petition urging its closure. "Our goal is to ensure that the attraction conveys a positive message about healthy lifestyles in a fun and empowering way," spokesman John Herbkersman told the Orlando Sentinel. "To work on further improving and refining the experience, the attraction is closed for the time being. We look forward to officially opening it soon." 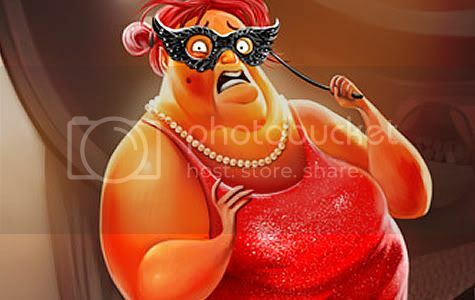 Peggy Howell, public relations for the fat acceptance group, said she wanted to see Disney using non-obese characters to illustrate the exhibit, including a "medium-sized" teenager at a computer highlighting not enough exercise or a "thin youth" gorging on a large lunch, exposing gluttony. "Disney theme parks and characters have always been associated with positivity and joy," she said. "All children, regardless of body size, should be free to enjoy the 'happiest place on Earth'." Disney, meanwhile, insists it remains the perfect destination for visitors and employees of all shapes and sizes. In 2006 the company redesigned its costumes to allow for the expanding waistlines of cast members, and later that year unveiled a revamp of its theme park catering to operations to introduce fresh fruits and vegetable and reduce artery-clogging oils and sugars. So what do you think? Do you agree with this decision or disagree? Vote in the poll below! Should Disney have closed the exhibit?